Following on the successes of ZACube-1, a.k.a. TshepisoSat, ZACube-2 is the second instalment in the Cape Peninsula University of Technology (CPUT) F’SATI mission series. The satellite will serve as technology demonstrator for essential subsystems and form the basis on which an innovative Software Defined Radio (SDR) platform will be developed as primary payload. The SDR is highly flexible to address a wide range of communication needs and will be a test bed to validate vessel detection. Additionally, the satellite will feature a medium resolution imager as secondary payload to demonstrate the feasibility of future remote sensing applications such as ocean colour monitoring and large fire tracking. The South African CPUT TshepisoSAT team were invited to give a mission update at the SA AMSAT‘s Space Symposium on Saturday, May 24, 2014 at the Innovation Hub in Pretoria. The event was well attended and even had representatives from SANSA in attendance. Presentations on other CubeSats included Denel Dynamics’ DynaCube, FUNcube-1 and SA AMSAT’s own KLETSkous project. 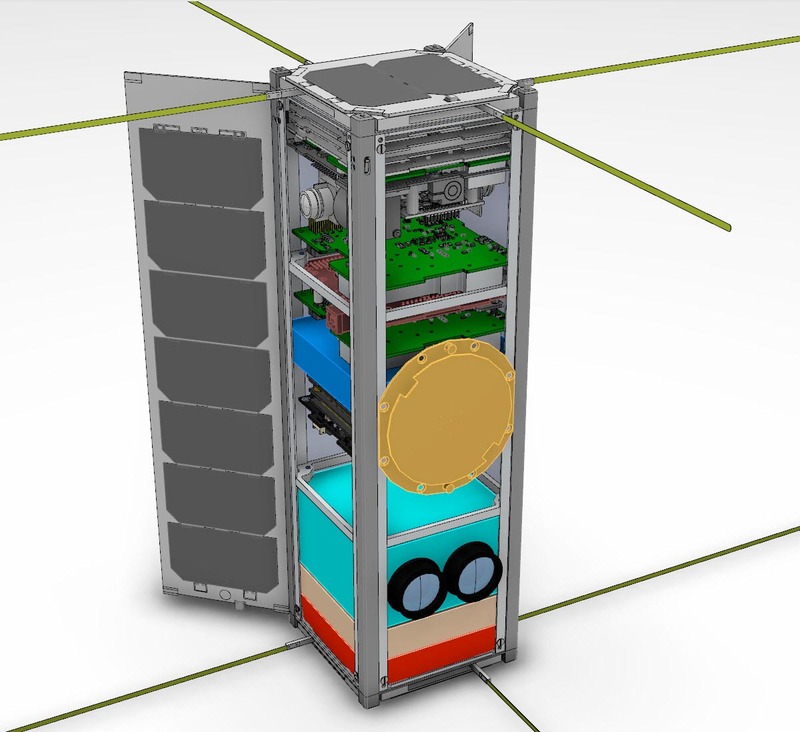 This paper gives a brief introduction to the F’SATI programme, the constructed CubeSat and mission. An outline of the milestones reached thus far with the Tshepiso nano-satellite are given, the outstanding activities that must still be completed and challenges faced. Some of the images captured by the satellite are also presented. Read TshepisoSAT, six months on orbit. Week nine of the year will go down as quite an eventful week for ZACUBE-1 (TshepisoSat), literally dodging two bullets involving speeds in the kilometres per second range. The first close approach notification arrived the morning of 25 February 2014 from the United States Joint Space Operations Center (JSpOC) through the The South African National Space Agency (SANSA) (A close approach notification is generated by the JSpOC to warn spacecraft operators when their spacecraft will come in close proximity to another object). The first order of business was the identification of the other object. In this case “SCC# 21422″. Our dance of death would be with the, now defunct, 2000 kg Russian built COSMOS 2151 launched in 1991. As ZACUBE-1 carries no propulsion system and with the COSMOS 2151 no longer functioning the only course of action was to closely monitor the situation. It was determined that the close approach event would occur over the Antarctic and a search was started for possible ground stations that could listen for signals from ZACUBE-1 directly after the event. Help arrived in the form of our friends from the California Polytechnic State University in San Luis Obispo, California, United States. The Cal Poly ground station would see ZACUBE-1 approximately 30 minutes after the event and be able to listen for its transmitted telemetry beacon signal. In preparation ZACUBE-1 would be tracked and checked on the last two passes over South Africa (22:50 SAST 26/02/2014 and 00:26 SAST 27/02/2014) a few hours before the event to ensure that everything was OK and then again by the Cal Poly station. With everything checking out and all systems nominal on the last pass over South Africa all we could do was wait for news from California. Great success! With Cal Poly confirming that ZACUBE-1 was alive and well. We were able to further confirm this on the first pass over South Africa. This would have been enough excitement for the week, but soon after verifying that ZACUBE-1 was OK we received our second close approach notification! This time involving a piece of debris from a METEOR 2-5 satellite. The plan would be much the same, but with the event taking place over Brazil we tried to make contact with some stations in Brazil. Unfortunately nothing was heard over Brazil, but we received notification of ZACUBE-1′s signal from the University of Florida and again from the California Polytechnic State University. We would like to thank everyone that helped out during this time, hopefully I did not leave anybody out. The folks from Cal Poly, University of Florida, the Brazilian radio amateurs that tried on very short notice and SANSA. ZACUBE-1 carries a UHF beacon on 437.345 MHz and an HF beacon on 14099 kHz used to characterise the Superdarn antennas at the Antarctic which study the ionosphere. TshepisoSat was built at the French South African Institute of Technology (F’SATI), at the Cape Peninsula University of Technology and launched on a Dnepr from Dombarovsky near Yasny on November 21, 2013. Earlier this week a quick checkout of the payload board was done. The sub-system board was powered on and a few telemetry values were requested with all response values indicating good health. The board was successfully switched off again. On the morning of December 14 the satellite was again commanded to switch on the payload board and a sequence of commands were sent to capture an image and store it in the on-board storage. 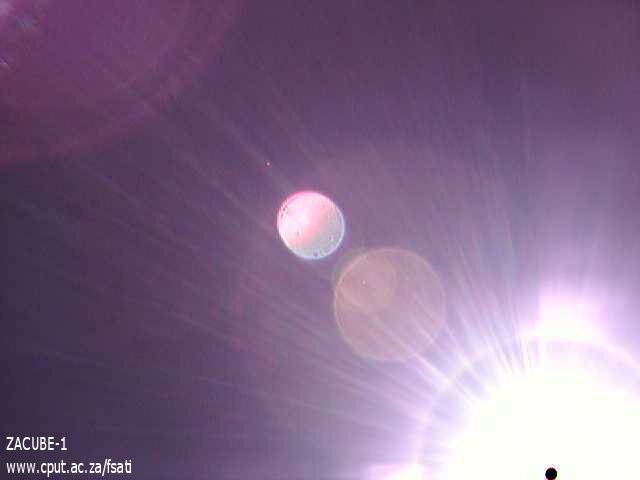 During the following two passes the image was successfully downloaded using the CPUT/F’SATI built VHF/UHF radio transceiver in its 9k6 bps G3RUH/GMSK mode. In the image the sun can be seen along with lens flare caused by the camera being pointed towards the sun. The black dot in the bottom right is most likely caused by overload of camera’s CMOS sensor by the sun. The spacecraft is not stabilized in three axis, so capturing images is a best effort affair (imaging is not the main focus of the mission). We can hopefully capture an image showing the earth in the upcoming days. Original known as ZACube-1, the satellite has been named TshepisoSat, after a competition held for Grade 9 learners. Tshepiso is the seSotho word meaning promise. The launch was the culmination of five years’ work after the first proposal to build a small satellite as part of the engineering curriculum was put forward by Professor Robert van Zyl in February 2008. Co-operation of the French Government made possible the forming of F’SATI and the French Ambassador in South Africa, Elizabeth Barbier, during a video address, promised continued support by France for the program. 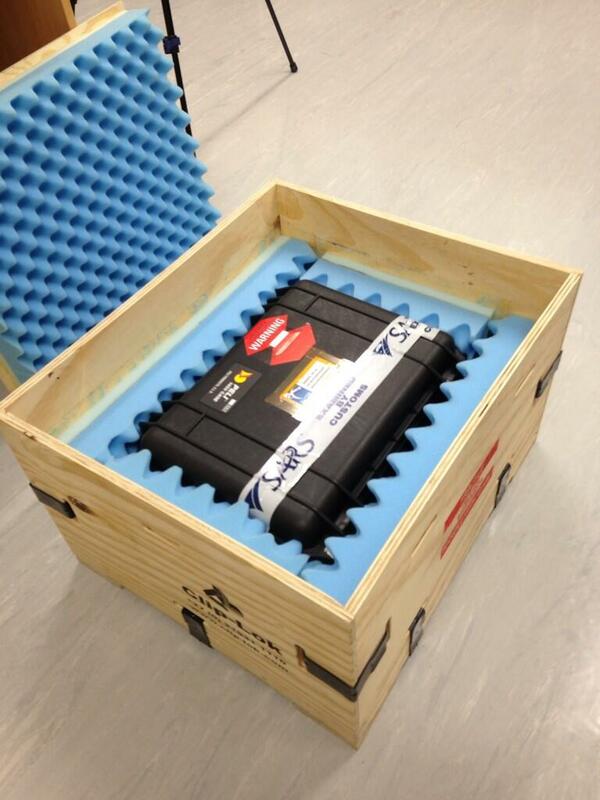 The satellite also includes a small camera which will be used to monitor the releases of the 20 metre beacon antenna. The beacon will operate on 14099 kHz and will be used to characterize the Superdarn antennas at the Antarctic which are used to study the ionosphere. The UHF beacon operates on 437.345 MHz. The F’SATI Satellite team at the Cape Peninsula University of Technology is looking for your support to collect telemetry. “We encourage radio amateurs to listen for the UHF beacon on 437.345 MHz (+/- 10 kHz Doppler shift). It will be a great help if they can log the raw data from the TNC and send it to Leon at ldutsteenkamp<at>gmail.com” Francois Visser said. “The team will be going through a commissioning process for the next two weeks to make sure everything works fine. Then we’ll turn on the ADCS to command the satellite into a spin, where after the HF antenna will be rolled out. Only then we’ll turn on the beacon. So far we have tested the downlink and uplink, checked system status, uploaded command scripts and all looks nominal. Battery voltage varies between 7.6 and 8.2 V, and on-board temperature between 12 and about 26 degrees C. The telemetry also shows that the ISIS antennas deployed on the first try”. On Thursday, November 21, 2013 the French South African Institute of Technology (F’SATI), at the Cape Peninsula University of Technology, made history by being the first in South Africa, and indeed the first in Africa, to launch a locally built nano satellite into orbit from a site in Russia. Deon Coetzee, ZR1DE, who represented SA AMSAT at a ceremony held in the auditorium at the university campus reports that Vice Chancellor, Prof. Vuyisa Mazwi-Tonga, paid tribute to all at the university who made this achievement possible, and said she was immensely proud of being part of it all. The launch was the culmination of five years’ work after the first proposal to build a small satellite as part of the engineering curriculum was put forward by Professor Robert van Zyl in February 2008. Co-operation of the French Government made possible the forming of F’SATI and the French Ambassador in South Africa, Elizabeth Barbier, during a video address, promised continued support by France for the programme. 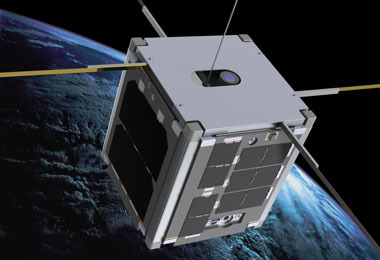 ZACUBE-1 was one of fourteen cubesats aboard the thirty metre tall, three stage rocket. All the cubesats were successfully released at a height of 600 km above the Earth. 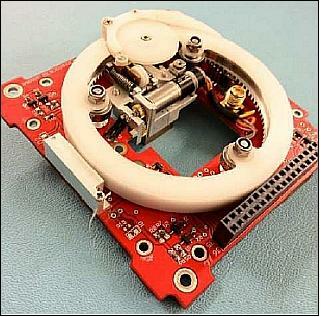 TshepisoSat will circle the Earth up to fifteen times per day in a polar orbit. “At 11h13 the first signals from ZACUBE-1 were received amongst loud cheers”, Deon said. According to Francois Visser, ZS1CED, who was the principal engineer and student mentor, the satellite was functioning well. The satellite also includes a small camera which will be used to monitor the releases of the 20 metre beacon antenna. The beacon will operate on 14099 kHz and will be used to characterise the Superdarn antennas at the Antarctic which are used to study the ionosphere. A UHF beacon operates on 437.345 MHz. 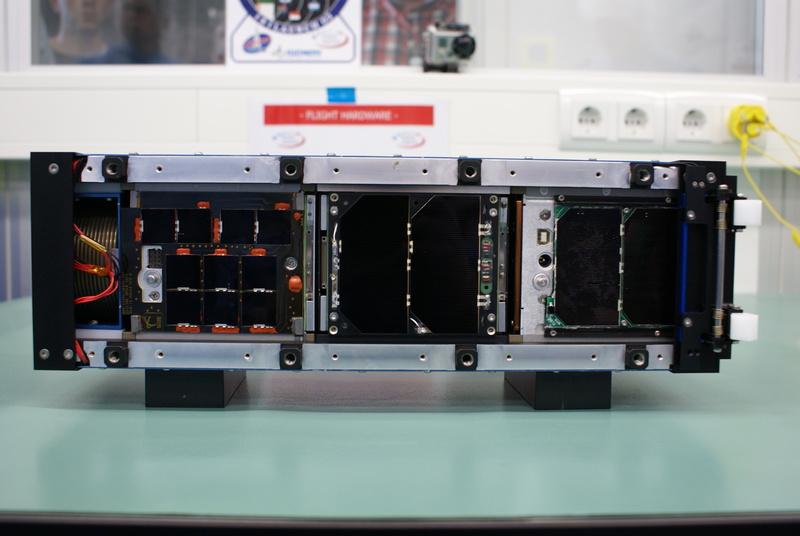 The second of the 14 CubeSats of interest to radio amateurs is FUNcube. The satellite is an AMSAT-UK project built in conjunction with ISIS. The first signals from FUNcube were received by Alan Soal, ZS1LS, about 10 minutes after separation, telemetry was successfully decoded, and uploaded to the FUNcube data warehouse. All main parameters on FUNcube look nominal; temp, battery voltage, and solar panel charging rate.